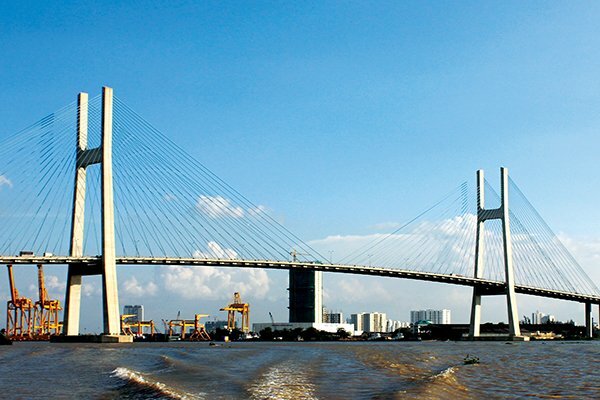 VietNamNet Bridge - As capital from the state budget and international donors is on the decrease, Vietnam is seeking new capital for infrastructure development through PPP (private public partnership). According to Deputy Minister of Planning and Investment Vu Dai Thang, infrastructure projects can no longer rely on state capital because of the regulation on the public debt ceiling.. The country also can no longer depend on foreign preferential loans because Vietnam has been classified as an average low-income country. Vietnam began calling for private capital through PPP in 1997. However, only 200 projects capitalized at $50 billion have been implemented under the PPP mode over the last 20 years. Tony Foster at the Vietnam Business Forum (VBF) in 2018 said that very few projects can access viability gap funding as stipulated in Decree 15 because existing legal documents do not guide the implementation of the decree. This is an important issue which determines investors’ decisions. Under Decree 64, Vietnam ensures PPP investors’ rights to buy foreign currencies from licensed credit institutions. These are done to satisfy current transactions, capital transactions and other transactions when they need to transfer capital abroad. However, according to Kenneth Atkinson, chair of the British Business Group in Vietnam, PPP investors still incur forex risks, which pushes investment costs up. Regarding the issue, Koji Ito, chair of the Japanese Chamber of Commerce & Industry in Vietnam, thinks that the government of Vietnam needs to clearly identify the key projects which use state budget funds and need the government’s guarantee. It also needs to bear risks at certain levels in converting exchange rates related to maturity payments. Thang said the government decree is the document at the highest legal level for PPP. The implementation of PPP projects relates to many other laws, including investment, construction and credit institution laws. The conflicts related to the government’s guarantee, investors’ interest and forex guarantees cannot be settled with regulations in a decree. Therefore, PPP investment in infrastructure is still unattractive to investors. Vietnam needs huge capital to build airports, seaports, highways and large urban infrastructure items. In order to have capital for these huge projects, the National Assembly’s Standing Committee has decided to add a PPP Law to the legislative program of this term. The law is expected to receive ratification by early 2020. Thang declined to discuss new provisions in the PPP draft law, but affirmed that if the law is ratified, it will solve the existing problems. “Foreign investors will feel secure implementing infrastructure projects in Vietnam,” he said.